New Giants head coach Pat Shurmur will call his own offensive plays in New York but still plans to hire an offensive coordinator, and Vikings quarterbacks coach Kevin Stefanski is a “strong candidate” for the position, sources tell Ralph Vacchiano of SNY. Stefanski, of course, worked under Shurmur in Minnesota, and is now a candidate to take over Shurmur’s old role with the Vikings (where he’d presumably get the opportunity to call games). Minnesota, however, is also considering former Seahawks OC Darrell Bevell and Texans quarterbacks coach Sean Ryan for its coordinator job, so if Stefanski isn’t promoted, he could conceivably bolt for New York. Meanwhile, Eagles running backs coach Duce Staley is a “name to watch” for the Giants’ OC position, while ex-Cardinals offensive coordinator Harold Goodwin could also “be in the mix,” per Vacchiano. Former Raiders and Chargers defensive coordinator John Pagano will join the Texans as a linebackers coach, reports Alex Marvez of the Sporting News. Specifically, Pagano is now a senior defensive assistant who will coach outside linebackers, while Bobby King — already on Houston’s staff — will coach inside ‘backers, per Mark Berman of FOX 26 (Twitter link). Pagano, the brother of former Colts head coach Chuck Pagano, spent five years as the Chargers’ DC before landing with the Raiders in 2017. When Oakland fired Ken Norton Jr. midway through last season, Pagano stepped in as the club’s defensive coordinator. The Chiefs will promote offensive quality coach Mike Kafka to quarterbacks coach, according to Terez A. Paylor of the Kansas City Star. Kafka, 30, originally entered the league as a 2010 fourth-round of Andy Reid‘s Eagles and went to play for six other clubs before hanging up his cleats. He coached at Northwestern (his alma mater) before joining Kansas City’s staff in 2017. Reid’s coaching tree is obviously impressive, and the past two men to serve as quarterbacks coach under his employ — Doug Pederson and Matt Nagy — are now head coaches with the Eagles and Bears, respectively. 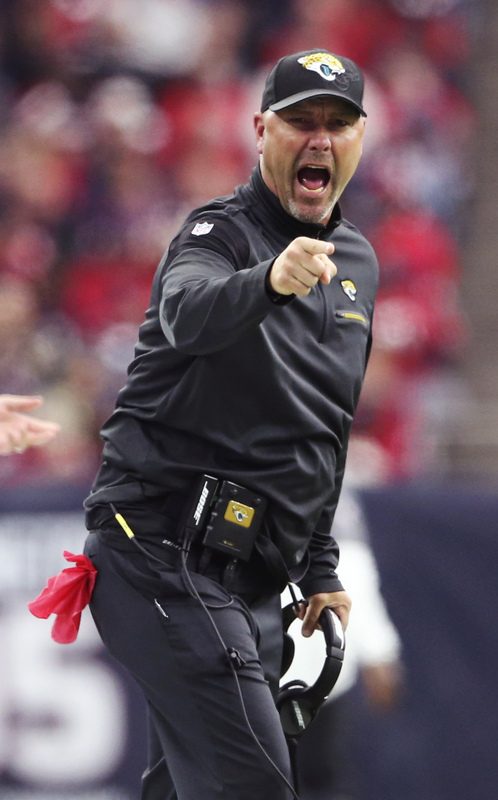 The Titans also have a new quarterbacks coach: former Texans offensive assistant Pat O’Hara, tweets John McClain of the Houston Chronicle, who adds ex-Texans defensive assistant Shane Bowen is now Tennessee’s outside linebackers coach. O’Hara interviewed for the Bears’ quarterbacks coach job earlier this year, but Chicago ended up retaining Dave Ragone for the role. Meanwhile, new Titans assistant coach Kerry Coombs will indeed lead defensive backs in Tennessee, meaning he’ll coach the same position group that he did at Ohio State, tweets Paul Kuharsky of PaulKuharsky.com. Titans head coach Mike Vrabel offered incumbent secondary coach Deshea Townsend a job as Coombs’ assistant (read: a demotion), but Townsend will instead leave the club. The Panthers have hired Air Force defensive coordinator Steve Russ as their new linebackers coach, per Joseph Person of the Charlotte Observer. Russ will replace Al Holcomb, who followed Steve Wilks to Arizona earlier this week to become the Cardinals’ new defensive coordinator. Although he enjoyed a four-year pro career, the 45-year-old Russ has never coached at the NFL level. He’s been at Air Force since 2012, and previously spent time at Syracuse, Wake Forest, and Ohio. Carolina has also added former Seahawks assistant special teams coach Heath Farwell for the same role, reports Omar Ruiz of NFL.com (Twitter link). Weather-related concerns are forcing the Titans to shift the timeline of their head coaching search, as Albert Breer of TheMMQB.com tweets. Whereas Texans defensive coordinator Mike Vrabel and Rams offensive coordinator Matt LaFleur were originally scheduled to interview with Tennessee on Wednesday and Thursday, respectively, Vrabel and LaFleur will now sit down with Titans general manager Jon Robinson on Thursday and Friday, respectively. Vrabel, LaFleur, and Panthers defensive coordinator Steve Wilks — whose is currently en route to Tennessee for his interivew, per Joseph Person of the Charlotte Observer — are the only definitive candidates for the Tennessee job thus far, but reports have indicated the Titans could also have interest in Eagles OC Frank Reich. Former NFL defensive coordinators John Pagano and Ray Horton will meet with the Cowboys, per Todd Archer of ESPN.com. Pagano, the longtime Chargers’ DC, spent last season as an assistant head coach (and later, interim DC) for the Raiders, while Horton — formerly the defensive play-caller for the Cardinals, Titans, and Browns, didn’t work in the NFL in 2017. Dallas already has a defensive coordinator in Rod Marinelli, but the Cowboys were reportedly willing to promote Marinelli to assistant head coach in order to keep ex-LBs coach Matt Eberflus. While the Cowboys are apparently considering additions to their defensive coaching staff, they’ve made a hire on the offensive side of the ball in new wide receivers coach Sanjay Lal, tweets David Moore of the Dallas Morning News. Lal, 48, originally joined the NFL ranks with the Raiders in 2007, and has since coached wideouts for Oakland, New York, and Buffalo. Former Cowboys wide receiver/current Cowboys scout Miles Austin also reportedly interviewed for the position. The Texans have hired former Raiders special teams coach Brad Seely for the same position, according to Adam Schefter of ESPN.com (Twitter link). Seely was forced out in Oakland earlier this month when the Raiders hired Rich Bisaccia as their new assistant head coach/special teams. He’ll replace Larry Izzo, the former NFL linebacker who led Houston to a No. 31 ranking in special teams DVOA a season ago. Seely, 61, has been an NFL ST coach since 1989, and the Texans will be his eighth professional stop. He should have a working relationship with Houston head coach Bill O’Brien, as the pair spent time together with the Patriots from 2007-08. The Raiders switched out defensive coordinators in firing Ken Norton Jr. and promoting John Pagano. Jack Del Rio said this week no one should feel comfortable about their statuses, but Pagano may be secure moving into 2018. Del Rio expects Pagano to have a role on the ’18 Raiders, Michael Gehlken of the Las Vegas Review-Journal notes (on Twitter). Of course, this would likely hinge on Del Rio being retained for a fourth season. After guiding the team to major improvements in 2015 and last season, Del Rio has overseen the Raiders become arguably the NFL’s most disappointing team this season. But he signed a contract extension earlier this year; that would point to the current HC receiving another year to attempt to make good on this Reggie McKenzie-assembled nucleus. Pagano will inherit a defense that ranks 26th. The Del Rio- and Norton-helmed units of the past two seasons ranked 26th in each. Here’s the latest from the West divisions on Thanksgiving. For those unable to watch Chargers-Cowboys, Nick Novak suffered a back injury but has returned to the game, limping back onto the field for a 22-yard field goal. Punter Drew Kaser was practicing kicks into a net on the sideline, but the Bolts eschewed a 30-yard field goal for a fourth-and-13 early in the second quarter prior to Novak’s return. Novak returned to the Chargers earlier this year after being cut by the Texans. The Bolts have struggled at kicker this season, with Novak already missing a kick today. This gives Los Angeles a 12-for-19 make ratio — worst in the NFL. The Bolts have announced Mike Williams won’t return to their Thanksgiving game because of a knee injury. Williams now has another malady to surmount after a back ailment dogged him for much of the offseason. The 49ers aren’t planning to part with Joe Staley in the near future. Despite the 11th-year player toiling for a rebuilding team in his age-33 season and being the annual subject of trade rumors, John Lynch said (via Eric Branch of the San Francisco Chronicle) he and right tackle Trent Brown will be cornerstones for the next “couple, few” years. Brown is under contract through 2018 but can be extended after this season. Lynch’s comments appear to point to the team wanting to go that route. Staley’s deal runs through 2019 on incredibly team-friendly cap numbers ($7.7MM in 2018 and ’19). Lynch said Joshua Garnett has changed his “body composition” in order to better function in Kyle Shanahan‘s zone-blocking scheme. Branch notes the 321-pound guard, who was known as a power blocker previously, could have returned from IR this season. Perhaps the 49ers wanted to use this year, once Garnett suffered a preseason injury, as an intentional redshirt for the purposes of the 2016 first-round pick adjusting to the new offense. Lynch said the 49ers encouraged the 6-foot-5 lineman to adjust accordingly, physically speaking, for Shanahan’s scheme, so it appears he will be in the picture in 2018 despite arriving under the Trent Baalke regime. Branch notes he figures to compete for a starting job next season. The Raiders have fired defensive coordinator Ken Norton, according to Mike Silver and Ian Rapoport of NFL.com (on Twitter). John Pagano, who previously held the title of Assistant Head Coach/Defense, will take over. Norton has been popular in the Raiders locker room since joining the team in 2015. However, the results have not been to the Raiders’ satisfaction, particularly this year. The Raiders rank dead last in defensive DVOA and that goes a long way towards explaining their 4-6 record. The Raiders were handed a bad loss on Sunday after allowing the Patriots to score 33 points, though the offense didn’t exactly help the cause either (eight points). It’s fair to wonder if Norton’s dismissal will cure what ails the defense, particularly since Del Rio has such a heavy hand in play calling. Also, the absence of first-round cornerback Gareon Conley has hurt the team’s passing defense, and that’s a factor that was out of Norton’s control. 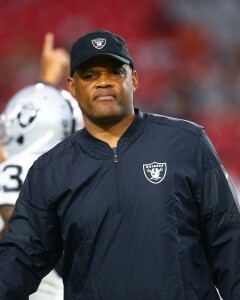 The Raiders hired Norton after considering big names such as Mike Smith and Wade Phillips. Reportedly, a lack of money and play-calling control led some candidates to withdraw from consideration. The Raiders announced that they have hired former Chargers defensive coordinator John Pagano as their assistant head coach-defense. Pagano will be reuniting with head coach Jack Del Rio, as the duo worked together in New Orleans. The 49-year-old had been coaching in San Diego since the early 2000s. After serving as the Chargers linebackers coach, Pagano was promoted to defensive coordinator in 2012, and he ultimately held that position for five seasons. However, following the hiring of head coach Anthony Lynn, it looked like Pagano’s tenure with the organization was coming to an end. That was made abundantly clear last week after the Chargers hired Gus Bradley as their new defensive coordinator. Ken Norton Jr. will remain the Raiders’ defensive coordinator, but Pagano will certainly help a unit that struggled at times during the 2016 season. The Raiders ranked 26th in yards allowed, and they finished with the fewest sacks in the NFL. Eagles wide receivers coach Greg Lewis is expected to take the same position with the Chiefs, reports Alex Marvez of Sporting News (via Twitter). The former NFL wideout joined the Eagles coaching staff last offseason after serving as a Saints’ offensive assistant during the 2015 season. CBS Sports’ Jason La Canfora would be “very, very surprised” if Chip Kelly ultimately replaces Falcons offensive coordinator Kyle Shanahan (Twitter link). This move would have been a bit ironic, as Shanahan is set to replace Kelly as the head coach of the 49ers. Instead of moving to Atlanta, La Canfora suggest Kelly could catch on with the Patriots as a consultant/assistant. The Redskins have promoted Chad Englehart to head strength and conditioning coach, reports Jake Kring-Schreifels of Redskins.com. Englehart has served as the team’s assistant strength and conditioning coach over the past seven seasons. The organization hired Kavan Latham to fill Englehart’s previous role. The Redskins today interviewed incumbent Chargers defensive coordinator John Pagano for the same role on their staff, according to John Keim of ESPN.com. Pagano hasn’t officially been released from his contract in Los Angeles, but given that the Chargers are not only conducting interviews to replace him, but allowed him to meet with Washington, it’s fair to assume Pagano won’t be coaching in LA next season. Pagano, 49, has spent his entire NFL coaching career with the Chargers, working his way up from defensive quality control to defensive coordinator, assuming the latter position in 2012. In his first four years on the job, the Chargers didn’t post a better defensive DVOA ranking than 18th, and finished last in the NFL in 2013. The defense turned in its best Pagano-led showing in 2016 (eighth), but that wasn’t enough to persuade new Los Angeles head coach Anthony Lynn to retain Pagano. The Redskins’ search for a new defensive coordinator has become the most exhaustive hunt for a play-caller in the league, on either side of the ball. Counting Pagano, Washington has now been linked to 10 candidates as it looks for former DC Joe Barry‘s replacement. While former Jaguars head coach Gus Bradley was at one time viewed as the leading candidate, the Redskins have also expressed interest in three former Rob Ryan disciples (Rex Ryan, Dennis Thurman, and Mike Pettine), 49ers linebackers coach Jason Tarver, and will meet with their own LBs coach, Greg Manusky. The beginning of Anthony Lynn‘s tenure as the Chargers’ head coach will likely bring about the end of defensive coordinator John Pagano‘s long run with the organization. 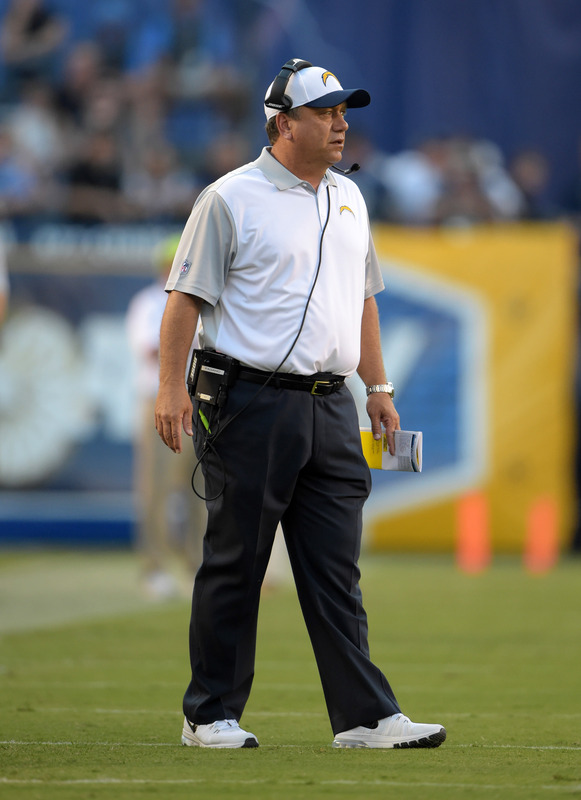 The club isn’t expected to retain Pagano, reports Michael Gehlken of the San Diego Union-Tribune (Twitter link). With high-profile defensive coordinator candidate Gus Bradley set to interview for that role with the Chargers, the news of Pagano’s forthcoming exit comes as no surprise. Bradley is reportedly the front-runner to land the job with the newly minted Los Angeles franchise. Further, the idea of Bradley joining a Lynn-fronted staff has come up as a possibility since the latter was the Bills’ interim head coach at the end of the regular season. To this point, Pagano has spent his entire coaching career with the Chargers, who hired him as a defensive quality control coach in 2002. He eventually climbed to the defensive coordinator position in 2012, though the unit mostly struggled under Pagano. In his first four years on the job, the Chargers didn’t post a better defensive DVOA ranking than 18th, and they finished last in the NFL in 2013. The defense turned in its best Pagano-led showing in 2016 (eighth), but it doesn’t appear that will be enough to save the 49-year-old. While Pagano is on his way out, some of his assistants will remain in place. Earlier Friday, Sporting News’ Alex Marvez reported that defensive line coach Giff Smith, defensive backs coach Ron Milus and assistant DBs coach Chris Harris will return in 2017. Linebackers coach Bob Babich is gone, though, having taken a job with Lynn’s previous employer – Buffalo. The Chargers coaching staff has seen plenty of turnover, and now there’s another name to add to the list of potential additions. NFL.com’s Ian Rapoport reports (via Twitter) that the organization will interview Gus Bradley for the role of defensive coordinator. The former NFL head coach is the “favorite” for the gig. Bradley has been a relatively popular name since he was fired by the Jaguars in mid-December. The 50-year-old was reportedly atop the Redskins’ list of potential defensive coordinator candidates. Bradley has a natural connection to that organization, as the coach worked under general manager Scot McCloughan when the duo was in Seattle. The Browns also reportedly reached out to Bradley regarding their defensive coordinator vacancy. Bradley had plenty of success as the Seahawks’ defensive coordinator, a position he held from 2009 through 2012. However, things didn’t go nearly as well during his head coaching tenure in Jacksonville. In his three-plus seasons with the organization, Bradley compiled a 14-48 record. His .226 winning percent is the second-lowest mark in league history. For what it’s worth, it appears that the Chargers will be retaining offensive coordinator Ken Whisenhunt. The Chargers have informed head coach Mike McCoy that he’ll be retained for the 2016 season, reports Michael Gehlken of the San Diego Union-Tribune. After a disappointing 4-12 season, the Chargers are expected to make “substantial changes” to their coaching staff as early as Monday, but McCoy will be safe. In a statement confirming the decision, Chargers president of football operations John Spanos admitted that he’s disappointed with the club’s results in 2015. However, he expressed confidence in San Diego’s decision-making group going forward. One report last week suggested that the Chargers were leaning toward letting go of McCoy, but leading up to the team’s regular-season finale on Sunday, multiple reports indicated that the head coach was expected to keep his job after all. McCoy led the Chargers to consecutive 9-7 seasons in 2013 and 2014, earning a playoff victory in ’13, before taking a step back this year. Albert Breer of the NFL Network noted earlier today (via Twitter) that he has heard from both Rams and Chargers people that it would be hard to run a proper coaching search with the Los Angeles situation looming, so perhaps that was a factor San Diego’s ownership considered when making the decision on McCoy, who has one year left on his contract (Twitter link). As Michael David Smith of ProFootballTalk.com writes, it hasn’t been a great three weeks for the Chargers defense. In that span, the unit has allowed 30 first-half points to the Raiders, 548 yards to the Packers, and a game-winning touchdown to the Michael Vick-led Steelers. Defensive coordinator John Pagano understands that he may be on the hot seat if his squad doesn’t turn it around. Smith also believes that Lions coach Jim Caldwell shouldn’t be comfortable with his job security, noting that any decision would be made by owner Martha Ford. Caldwell fired three assistants earlier this week, and Smith wonders if the decision may have come from ownership. Facing a potential 1-7 start to the season, the writer says the coaching moves could be Caldwell’s final opportunity to “reinvigorate” his offense.